I had the pleasure of chasing moose all day long and chasing stars all night long at Brainard lake in the Indian Peaks Wilderness Area, Roosevelt National Forest, Boulder County, Colorado. It was a great sight to see this bull moose throw me a smile to make my day! I slept for two days after this photo trip. 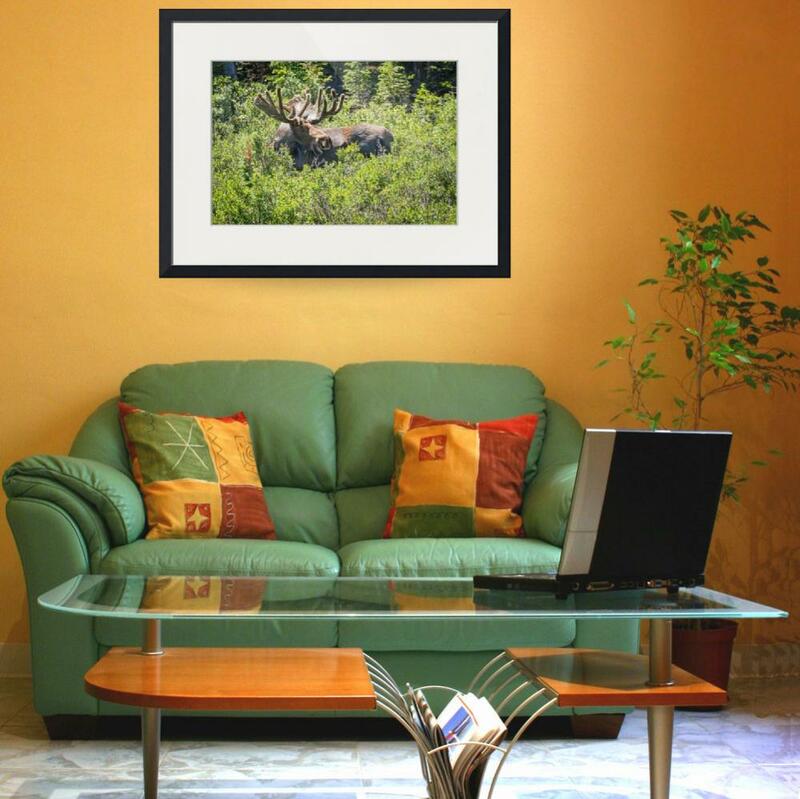 Moose (Alces alces) are the largest members of the deer family. On average, an adult moose stands between five and seven feet high at the shoulder. Large males can weigh as much as 1,500 pounds while females are roughly three-quarters of this size. Both sexes have chocolate-brown fur, a humped shoulder, a bulbous nose and a ball of skin, called a “bell,” that hangs from their neck. The long legs of moose allow them to travel through deep snow and even swim in deep water. They also use their legs to kick predators or maneuver over obstacles on the ground. Males, called bulls, grow large palmate antlers which can reach five feet across and weigh up to 77 pounds. Bulls use antlers during the fall mating season to spar or fight with other males as they compete for mates. Females, called cows, do not have antlers, but they select a bull based on his antler size. Colorado fine art wildlife photography fine art images by James Bo Insogna (C) – All Rights Reserved. A collage of four images of a Bull Moose in the wild at the Indian Peaks Wilderness Area. Such a great sight to see and watch in one of the most beautiful places in Colorado and Boulder County. Hanging out with the moose up in the Indian Peaks Wilderness area, Boulder County, Colorado. I have been up here before and never ran into them, only kept hearing about them from people on the trails. This trip they were hanging out by Brainard lake and feeding by the roads. Pretty cool to see. The first time I ever saw a moose was in Alaska. There was never any moose in the area until they introduced them to the wilderness area in the late 80’s. Now there are even moose in Boulder. Also late into that evening I saw a heard of deer too.